Toxins restricted in Canadian food and pharmaceuticals because of their ability to cause health problems are slipping through Canada’s cannabis regulatory system, raising concerns about the quality of the country’s legal pot supply. Tetra Bio-Pharma temporarily halted clinical trials late last year for a cannabis-derived drug it had been administering to patients, the Ottawa-based company announced Tuesday. The company said it discovered “impurities” in marijuana sourced from a licensed Canadian producer that included high levels of fungus-derived ochratoxin and vomitoxin, the former a known carcinogen. Health Canada requires all food, beverage and drug products to be screened for the presence of fungus compounds called mycotoxins, and those with levels above a certain threshold are deemed unsafe for public consumption. Cannabis, however, is not subject to the same requirements. Legal pot is tested for deadly aflatoxins, but not for certain other mycotoxins such as ochratoxin and vomitoxin; these were only detected because Tetra Bio-Pharma’s product was being tested to more rigorous standards required for clinical trials. The gap between testing standards for cannabis and those for food and drug products means “cannabis contamination by these two toxins, among others, could be unchecked industry wide,” Paradigm Capital analyst Rahul Sarugaser, who holds a PhD in biomedical engineering, warned clients in a note published Tuesday morning. While ochratoxin and vomitoxin are common fungal residues found on most agricultural products, Dr. Chamberland explained their levels are strictly regulated in food and drug products. The federal Cannabis Act only requires testing for aflatoxin and total mycotoxin levels in legally-cultivated marijuana. Asked whether Health Canada was considering changing testing requirements for cannabis, the agency was unable to respond Tuesday, citing the need to prepare a “fulsome” response. Dr. Brigitte Simons, vice president of laboratory business at cannabis testing company Molecular Sciences Corp., said that Health Canada is currently consulting with the industry on mycotoxin testing, but has yet to bring any rules into effect. 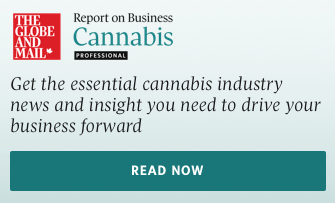 "There are some licensed producers who know that it’s coming, because they have been actively involved in the consultations, and ... know to ask for it. But the majority do not know how to ask [testing labs] for it,” Dr. Simons said. “Not all labs offer this as a routine service. Thus when cannabis products that had been developed in 2018 are in market, even though they were legally meeting the regulatory requirements of 2018, they may have missed particular things that today are now under review, like mycotoxins," she added. So far Health Canada has done a good job regulating solvents and pesticides in cannabis products, according to Dr. Kaveh Kahen, chief executive of Toronto-based testing lab Sigma Analytical Services Inc. But when it comes to mycotoxins, the list needs to extend beyond aflatoxins, particularly because of how the drug is commonly consumed. “My biggest concern is inhaling, and the direct absorption of some of these toxins through lungs. It could act very fast and could cause a lot of health issues,” said Dr. Kahen. "It would take some time for us labs to develop the method [to test for ochratoxin and vomitoxin], but that's our job, and we would be happy to do that if there's requirement. But we can't force it on our partners and producers, and say, ‘you have to do this and pay extra,’ if they say, ‘I'm not even required to do this test,’" he added. Health Canada has likely been slow to regulate ochratoxin and vomitoxin because their occurrence in cannabis is relatively rare, said Dr. John Coleman, president of Vancouver-based Anandia Labs. His lab only recently began testing for ochratoxin, but has been testing for aflatoxin, which also comes from aspergillus fungus, for years. "Of the probably 5,000 tests we've done, I think we might have had one positive aflatoxin test, and the levels that we're testing to is below two parts per billion," said Dr. Coleman. “It all comes back to the quality of the batch being tested. It could be a unique situation around that [Tetra Bio-Pharma] batch that doesn’t really apply to the rest of the industry. The flip side is this could be a problem that we’re just not looking at, because we’re blind to it,” he added. Problems with fungus have been widely rumoured in the industry, which relies on humid and warm growing environments. Most companies irradiate their product after harvest using ultra-violet light to meet testing requirements, but irradiation does not get rid of mycotoxins, according to Dr. Coleman. “It would essentially make the micros non-viable so they wouldn’t continue to multiply. But say you had a massive load of microbial content on to begin with and you irradiated it, any toxins that could have been present are still going to be there,” he said. Tetra has sent a risk assessment to Health Canada that included recommendations for new testing standards and Dr. Chamberland notes other jurisdictions such as Australia already require cannabis be subjected to broad-based mycotoxin screening. He believes progress will be made here, but acknowledges regulators are largely in uncharted territory when it comes to new cannabis products.